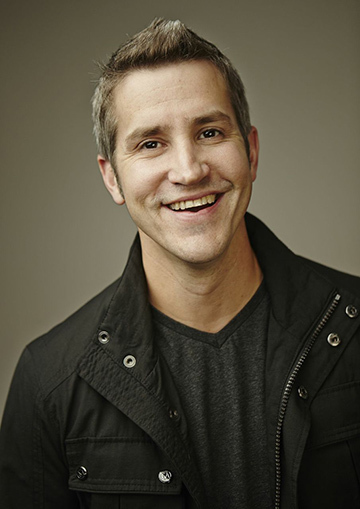 Author and Samford University alumnus Jon Acuff will discuss his latest book and the four big things every adventure with God requires at Live @ the Library Friday, April 8. There will be a 6 p.m. VIP reception in Harwell G. Davis Library followed by a presentation and book signing at 7 p.m. in Brock Recital Hall. Tickets start at $25 and are also available at the Samford Box Office in Swearingen Hall. Each attendee will receive a complimentary hard copy of Do Over: Rescue Monday, Reinvent Your Work and Never Get Stuck. Acuff’s book discusses the four areas all great careers share: relationships, skills, character and hustle. In it, he covers how to invest in these areas in order to be prepared to handle inevitable career bumps, jumps, ceilings and opportunities. Live @ the Library is an annual event hosted by the University Library to bring awareness to accomplished Samford-affiliated authors. This year’s event will be sponsored by EBSCO, and proceeds will go to the library. Acuff lives with his wife, Jenny, and his two daughters in Franklin, Tennessee.